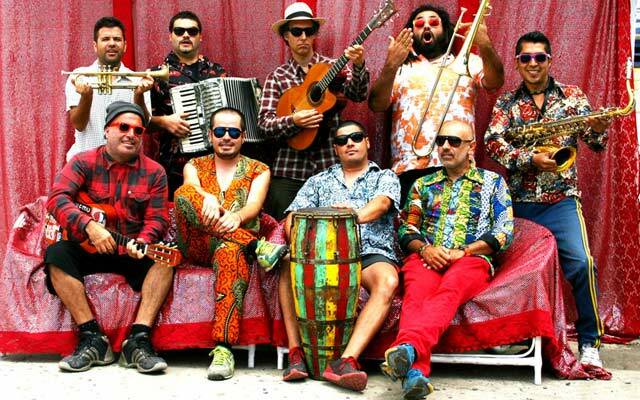 Chico Trujillo, this unconventional band, is built upon the musical architecture of the legendary Nueva Canción of revolutionary Chile. It does not so much play music as it tends to erupt in a volcanic celebration of cumbia, soca, reggae and Andean folk-rhythms. If the music of Inti-Illimani shaped the music of the revolutionary era in Latin America then the explosive visceral excitement of Chico Trujillo seems to bow in deference to that great ensemble, while redefining the significance of the clenched fist as much as it does the celebration of not just humanity, but also the triumph of human endeavour. Their music forms something of an essential tapestry of the region, seamlessly sewn together like a diaphanous poncho swirling to the polyrhythms of the Andean ridges and the sprawling plains. This particular record, a rich extended play comprising nine new songs, is a beckoning to a bloc party like no other. Its roistering rhythms and entrancing harmonies drive superb and memorable melodies. It isn’t hard to see why the band has earned so much respect no only among the young, mostly, revellers, but also among the cognoscenti. 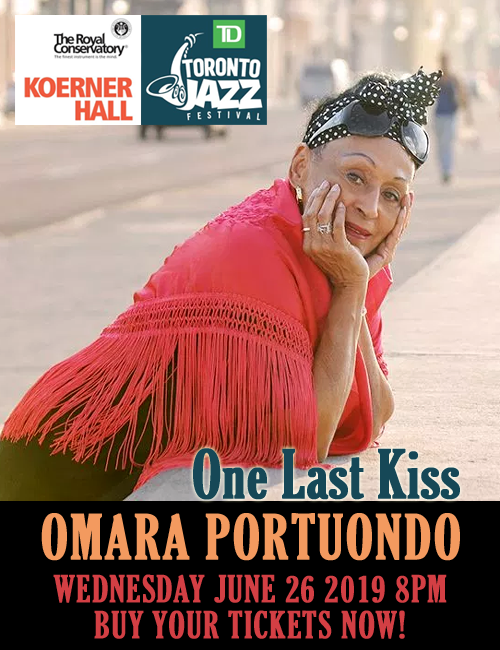 The music features accomplished performances by the iconic vocalist Macha punctuated by simmering horns and woodwinds that light proverbial fires around the lyrics of the music. Alert guitars dodge and weave in and out of the solo and ensemble passages and the telling use of diverse instrumentation causes Macha’s lyricism to take on a unique and dramatic bravado all its own. The music is outstanding from moment to moment and it illuminates the lyrics – at times rather provocative – so that the disc becomes a soundtrack of a film that seems to arouse the sense with its in-your-face attitude of Nueva Canción tempered by the grace of cumbia. Macha’s characteristic sardonicism is melded in with the lyricism of a romantic. And why not? The singularity of Chico Trujillo’s music is characterised by its romanticism, a certain yearning for a time when simple human virtues were celebrated; before, that is, Big Brother interrupted and spoiled the party. Hence the theme of this record exactly: Reina de Todas las Fiestas. The length of the recording, although billed as an EP, is equivalent to many album length recordings, so that it feels like that party will not end in a long time. 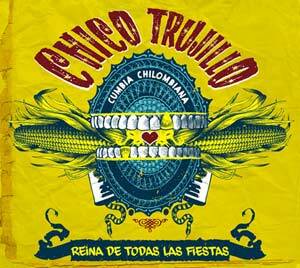 Those acquainted with the work of Chico Trujillo should guard against expecting something familiar, in terms of music. This ensemble does not know how to repeat itself. Even when rhythms are traditional and folk-forms are cast in stone, here is an ensemble that knows how to and loves to improvise and innovate. And there is plenty of this to go around each and every one of the nine songs on this recording. I can hardly wait to hear what the full album will sound like. Track List: Abajo del Bote; Malgeniosa; Playas Marinas; La Cura del Espanto; Se Nota En El Ambiente Que Tenemos Que Partir; Alturas; Chatito; Los Nervios Que Te Di; Reina de Todas las Fiestas. Personnel: Macha: voz; Tuto: bajo; Michael: guitarra; Juanito: batería; Tio Rodi: percusión; Joselo: teclas; Zorrita: trompeta: Felita: saxo; Tabilo: trombón; Convidado VIP en todo este cahuín: Pajaro “GGG” Araya; Banda de Bronces Wiracocha, Patricio Quilodrán (9); Robstarz of Rebel Diaz (7); Horacio Salinas (guitarra), Rubén Moya, Patricio Quilodrán (6); Kevin Johansen (8); Alvaro Henríquez: (3).